Designer Kati Meyer-Brühl looked outside the living room for inspiration for the Mosspink sofa. 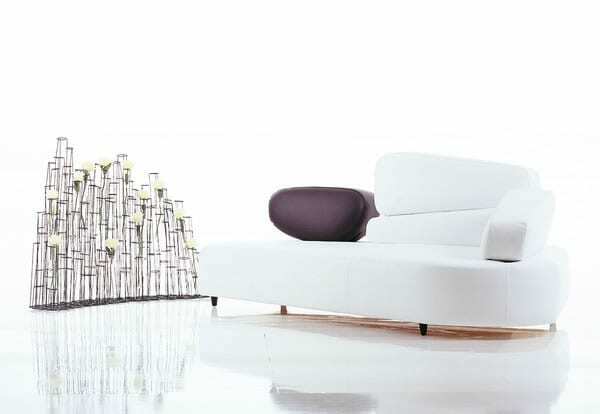 The flowing, asymmetrical forms in the great outdoors provide the foundation for this sofa from Bruehl. The low-slung seating platform is soft and rounded to provide both a casual form and comfortable place to relax. To incorporate the organic shapes found in nature, the traditional backrest is replaced with randomly stacked elements that mimic pebbles on a riverbank. 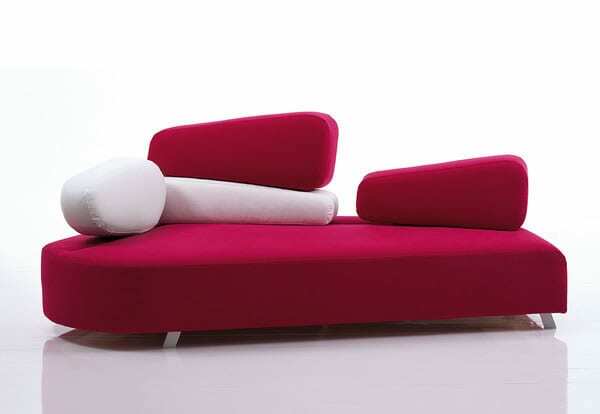 The Mosspink sofa by Brühl design is as timeless as nature and yet modern in its minimalism and attention to shape. To finish the look, add the matching ottoman and low armchair. 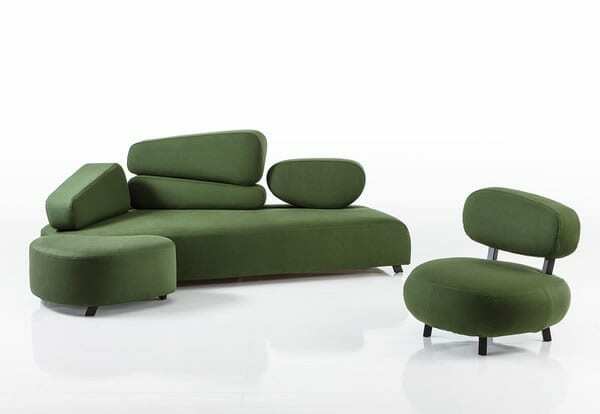 While the asymmetrical and rounded shapes may be commonplace outside in nature, the Mosspink sofa is unique and distinctive for its creative inspiration and simple beauty. Bruehl carries the natural inspiration to its production as well as styling, using environmentally friendly construction to complement its rustic good looks. 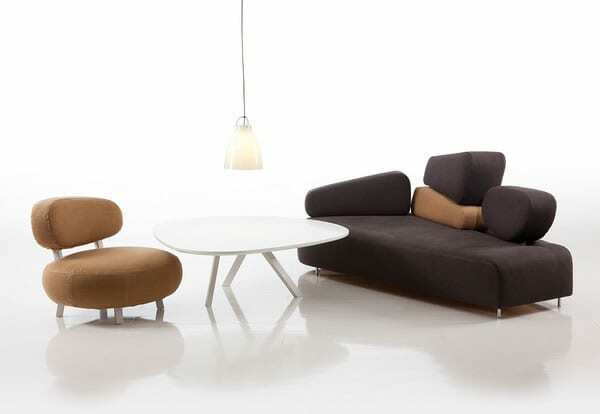 To finish the design, choose from the range of wool, cotton, or leather upholstery paired with either aluminum or wooden feet painted black, white, or left natural. The Mosspink sofa is a modern and subtle way to bring the outdoors into your home. With a few personalized touches, the Mosspink sofa will be your very own comfortable classic. It’s an ideal lifestyle piece that’s causal and stylish for your everyday experience. Are you ready to be inspired by nature — without ever leaving your living room?